No job is too big or too small. Whether you are in need of maintenance, a service repair or need to replace your heating and cooling system, you can count on us to handle the job professionally. Below are some of the most frequently asked questions our customers ask us when they call our office. If you have a question that is not listed here on this page, feel free to ask us by email or by calling our office. If you have a heating or cooling system that is not working you will be charged a Diagnostic Charge to troubleshoot the system. Once the technician has found the problem he will discuss the cost with you before making the repair. We give Free Estimates on replacements and new installations. 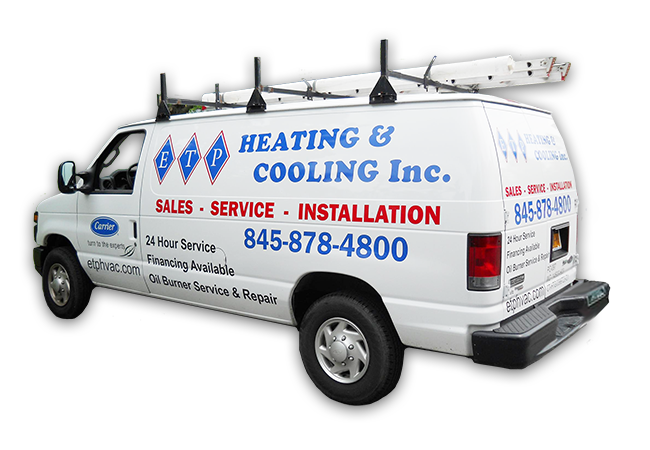 If you have an existing heating or cooling system that is old or cannot be repaired, then we will give you a Free Estimate to replace the system. Our office hours are Monday through Friday 8am to 5pm. We can provide service to you at our regular hourly rates Monday through Friday between 8am and 4pm. When scheduling a service call you can choose between two time periods for service, 8am to 12pm or 12pm to 4pm. We will call you when the technician is on his way. We also provide 24-hour emergency service to our customers 7 days a week. Our offices are located in Dutchess County, NY, Putnam County, NY and Westchester County, NY. We provide service to Southern Dutchess County, Putnam County and Westchester County in New York State. We also provide services to Fairfield County in Connecticut. Our standard warranty for repair work is 30 days on parts and labor. If we install a new system for you we will warranty it for a period of one year from the date of completion. We do not sell just parts to our customers. All parts provided by us and purchased by our customers must be installed by one of our qualified technicians. Yes we are fully licensed and insured and all of our technicians are factory trained and certified. Yes we offer financing on all new Carrier installations. We do not offer financing for repair work. To apply for financing you will be required to fill out a credit application.